052. 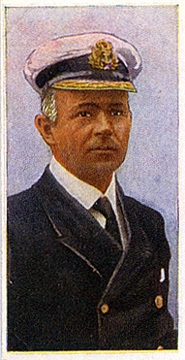 ROBERT FALCON SCOTT. Issued by James Pascall, Ltd. (1927). Card number 16 from a set of 24 entitled "Devon Worthies". Size: Ca. 2.15" x 1.4".